Expect a release date soon. I read some comments the other day that suggested PC was treated like a second-tier platform because Red Redemption 2 still hadn’t been confirmed. If only they’d known that we were about to get another Yakuza game, which are just as good as Rockstar’s horse dating sim. Yakuza Kiwami, which we already knew was coming, might be launching on Steam very soon. A Steam update spotted on SteamDB by Andrew Marmo and posted on Twitter suggests that Kiwami will be popping into existence imminently, with Steam keys being generated ahead of launch. Steam achievements are also starting to show up, as seen on Completionist. 41 of them have appeared so far. Expect to see “coming soon” transform into a release date on the Steam page. Yakuza Kiwami will join prequel Yakuza 0, which arrived in August. They’re the first games in the long-running series to make the leap from consoles to PC. Last year, Sega said Yakuza and Persona were among the games they wanted to bring to PC. If you’re not familiar with the series, you’re in for a treat. They’re open-world action games and criminal capers, but couldn’t be further from the likes of GTA. They’re surreal, minigame-infested RPGs that jump between slapstick comedy and genuine tragedy, with a protagonist who is simultaneously a hardened criminal and a do-gooder with a heart as big as a continent. Yakuza 0 is one of the most eccentric, idiosyncratic and downright charming games around. It deftly moves between drama and humour, between story and action, between arcade action and lengthy, well written pulp dialogue about a man who is incredibly good at punching. There's simply nothing else quite like it, and it's well worth your time. 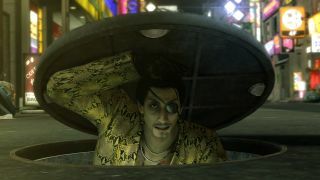 Yakuza Kiwami is a remake of the original game, elevated by Yakuza 0’s engine. The prequel is still the best place to start if you’re new to the series, but if you’ve already devoured that, keep an eye out for Kiwami.